The robust foundation of the new Monetary System. Partnerships among blockchain-enabled protocols and applications are common. However, the dedication to work of one team isn’t always met by the dedication of another team. Thus, great developments are often held back by partners they relied upon. Thus, the Crypto space is witnessing an increasingly common trend: new developments are trying to internalize as much of the operational and technological cogs as possible. The Kinesis Monetary System is an example of a project that internalizes nearly every aspect of its functionality in order to ensure there’s a harmonious operational efficiency within its infrastructure; this is necessary for a project that has ambitions to replace the world’s existing monetary system. The Allocated Bullion Exchange, which is the first e-platform for the trade of physical precious metals, has recognized the world-changing potential of blockchain technology. The world is racing towards a society that’s primarily cashless and adjusted to digital transactions and ABX aims to utilize its infrastructure to provide a new leg to the Crypto market. ABX has launched Kinesis, a new monetary system that tokenizes gold and then allows the emitted currency to be transactable across the world through the infrastructure provided by Kinesis, Stellar blockchain technology, and ABX’s myriad partners. Naturally, building a monetary system backed by digital gold is a challenging task but ABX already possesses the ability to fulfill digital trade of physical gold. ABX connects global liquidity providers and bullion suppliers; this is a key foundation to providing a globally transacted gold-backed currency. While the current Crypto market has grown at an exponential pace, it does not possess the liquidity needed to sustain a global monetary system. Physical gold, however, is an ultra-high demand asset and is one of the primary commodities used for value storage and wealth protection against inflation. Merchant suppliers (who supply to over a billion people across the globe), enterprise liquidity providers, market makers, and major institutional suppliers participate in this market. ABX provides an open system for these institutions to handle physical gold. Now, via Kinesis, it will bring these market players together to provide the liquidity foundation of Kinesis. Kinesis Monetary System begins with the minting of KAU coins, which are fully backed by gold. To retain an open system, anyone can mint these tokens. ABX already has the network to provide the physical gold supply and market makers needed to provide instant access to physical gold at the time of minting. ABX also possesses the means to store it instantly. Thus, when Kinesis is utilized to mint tokens, minters get instant ownership of the gold they purchase. This gold is simultaneously tokenized and issued upon the blockchain, thereby allowing the gold to be transactable. Prior to the minting process, the gold that is about to be bought is owned by a supplier. Once the payment for the minting is done, the gold that backs the KAU coins is owned by the minter (and rightfully so). ABX has the global vault system needed to support the safe storage of the gold. Blockchain technology provides immutable ledgers of proof of the gold’s storage (in the vault). ABX merely provides the facility of storing the gold, however, gold depositories exist across the globe and as the Kinesis Monetary System grows, users will have the right to deposit their gold at the vault of their choice. This is the user’s rightful choice as they are the owners of the gold that backs KAU coins. The ownership of the gold goes beyond the physical state. The tokenized gold is exclusively in the hands of the owner as only he/she will have the keys to access the currency that exists on the blockchain. The emitted tokens exist on the blockchain and key-based permissions grant access to the tokenized gold. From the moment gold is minted, the blockchain tracks ownership. However, Kinesis is more than just a means to own digital gold; it’s a means to transact and thus the foundational support goes beyond vaults and liquidity provision. To facilitate transactions, Kinesis provides the payment channels. 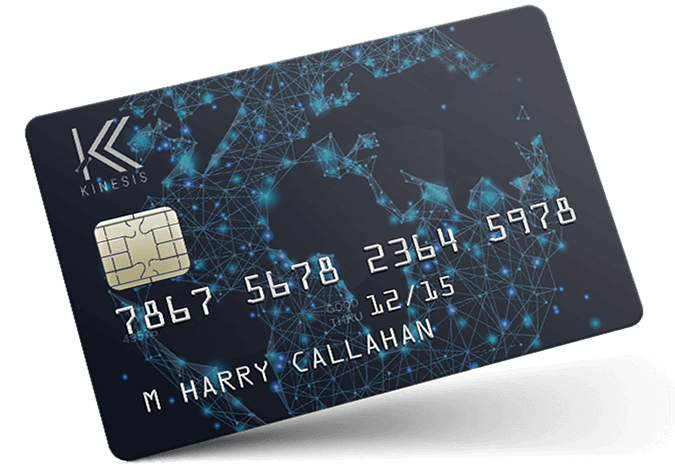 Kinesis Monetary System will issue payment cards that will allow transactions across any physical store that supports payments cards like Visa or Mastercard. Naturally, as Kinesis emits digital currencies on the blockchain, transacting on digital fronts would be a seamless experience. Due to the highly scalable nature of the Stellar blockchain, the transaction fulfillment would be possible even as demand grows. Transacting isn’t limited to minters. Kinesis has taken the intuitive approach to developing an internal exchange to provide a great circulation mechanism for KAU. Minters will have the ability to sell the KAU they minted at the KCX (Kinesis Currency Exchange) and KBS (Kinesis Blockchain Exchange). Kinesis is creating the exchange platforms internally to ensure that the users of its monetary system do not need to rely on other exchanges to provide a facilitation for Kinesis currencies. This also makes it easy to extend the liquidity network. At any point, a person can purchase KAU coins with both fiat and Crypto. Given that KAU will have natural trading pairs with Crypto, it will have an early utility as a stabelcoin in exchanges. However, Kinesis has the intent of making KAU coins a global currency that can be held and transacted without the consumer or merchants that hold them worrying about devaluation due to inflation. The blockchain provides a powerful means of validating on-chain currency ownerships and the fulfillment of trades. 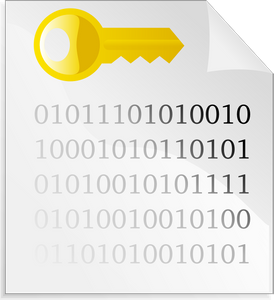 In the case of Kinesis, it can provide proof of gold-backing as the documentation that proves can be easily stored in decentralized, immutable ledgers. However, Kinesis will go beyond this and will also pursue third-party audits. It’s important to note that minting KAU coins involves minters buying gold from suppliers. ABX provides the platform for that physical gold purchase as it is the market-leader for this facility. It will also provide the vaults for such storage. However, the gold backing KAU coins is under the complete owner of the currency holder. Regular audits will be done to ensure the vaults are properly secured and to check the accounting books’ valuation of the gold. Additionally, ABX’s own experience in the physical bullion trade market gives it the legal experience needed to ensure such a development moves forward smoothly. Thus, the development will follow a legally-compliant roadmap. Greetings friend @hatu, the monetary system created by kinesis is really fascinating. 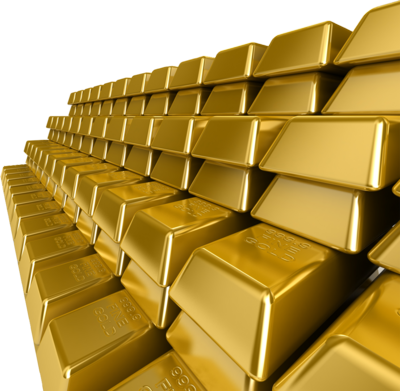 Mainly because all the participants are benefited with a solid monetary system backed by gold. The STOs are dominating the market of cryptocurrencies and I consider that they are the present and the future of the next generations in the blockchain trade. When we talk about gold, we are taking some of the most solid and universal assets. However, what keeps the system alive is the continuous incentive to generate dividends every time you use Kinesis money, that is, the more you use the more you earn; unlike conventional schemes. Excellent publication. Very complete. I congratulate you. You grasped it quite well. The thing with gold is that people value it as a store of value. This is a great opportunity to create a universal money that is able to beat inflation. Kinesis, as per the name, rewards movement and thus people get the motivation to expense the gold even though they value it dearly. A currency needs to be expensed not hodled. This post puts in words some of the most beneficial aspects of crypto currency and the potential it has to be a truly disruptive, positive technology. Thank you for your effort in putting this together. I think it's better to characterize gold's growth as slow and steady rather than exponential. It will have an association of little volatility. Yes, gold's appreciation is not exponential. It is, however, well above inflation rates. Thanks for taking the time to write this! I'm not sure how I feel about another "gold standard" particularly on the blockchain, although if implemented correctly could fix a lot of the issues we had in the past. Time will tell if Kinesis can come out on top. It would be the new gold standard, one optimal for the digital era and able to dodge all the fallbacks of the standard that relied on manual transport of the physical gold. I wasn't aware of that community. Thanks for sharing it there. As for gold-backed Crypto, there's actually quite a few of them but they exist of simply holding gold. This is a new monetary system, one where gold is the curreny rather than just a means of storing value. Great piece. 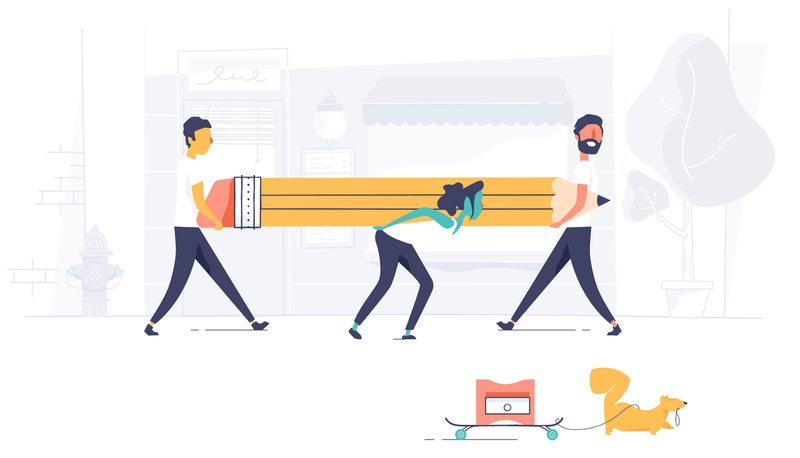 Adapting new and upcoming technologies is a good practice for businesses, provided they conduct appropriate research prior to implementing anything revolutionary. Thanks for writing. ABX already has a lot of experience with physical gold markets; they pioneered the electronic expansion if that market's trade. However gold has value in jewellery and electronics. It does have an intrinsic value. However, it's value goes beyond its utility in jewelry. That's because it is widely used as value storage. Rapid placement of partnerships are taking place. Depending on which city you live in, you mighy actually be able to spend KAU coins at your local mall in the coming year. Those coins are backed by gold; that gold can be sold for Crypto of fiat on KBX or KCX at any point. So, merchants get a stable valued gold coin in a digital tx and they can change it to whatever they want in a minute. Cool idea but I have questions. "ABX has the global vault system needed to support the safe storage of the gold." So, with a vault system like that, there will definitely be a huge cost. How is that going to be paid? Also, what happens if the gold is somehow stolen from the vault? How can we be sure that there won't be some sort of fractional reserve banking done by the vault owners? The transactions come at a cost, but this cost is well below the current digital transaction costs which average at 3%. ABX is an enterprise-provider; the holdings will be insured. The gold is not owned by the vaults; the gold is owned by you. Gold is typically stored in vaults as it is. Blockchain is the future~! One way or another!! Hi @hatu. Thanks for this analysis, is useful when deciding to pick a coin. I choosed a similar coin before I got aware of ABX. Probably I will add ABX to my "gold" cryptoportfolio. Once more, thanks to @crypto.piotr for letting me know about this posts. Excellent post, very complete information, I congratulate you, thank you for sharing it. Well described post, let's hope positive. I am writing to you because I would like to have the opportunity to create a post for your Steemit blog. We have no ICO. We already have a testnet, mainnet will be launched this month. If our project is interesting for you, it will be great if you can publish your opinion about Snax in your twitter or Steemit blog. Please write me in Telegram @Kunkkasds, if we can cooperate. I'll get in touch soon. Thank you, I will be waiting for your feedback. Your post shows a very interesting information. Thank yoy for sharing and thanks to @crypto. piotr for referred your account. Hi @hatu. Thanks for taking the time to explain how this coin works. What sounds good for me is the referral program, the debit card and the gold. I also notice that this company is located in grand caymand islands. I am not an expert in law but what I can see is that others​ ICO like EOS were done in this jurisdiction, according​ to this article. I found it on Google. In short, this is an interesting project to follow up. Immediate progress in the form of a price rise of Bitcoin is needed to bring steemit back to a healthy state. Visualize a $25,000 BTC price by the close of Wall Street on Friday. Here is a video that will help you understand. EvolvedMoney.xyz Feel free to donate. Friday is here; prices are down. For somebody new to crypto currency and decentrilized blockchains it feels good to have someone like you to lead me through this matter. Thank you for the readable post, I'll stick around for more updates. What's old is new again. Only better. more better. betterer.. It highlights how with a little innovation you can see that light at the end of the tunnel when it will be something universally accepted.. Knowledgeable post. Thanks for this article. I wonder how this system can be backed by digital gold. I mean.. the gold does not exist.